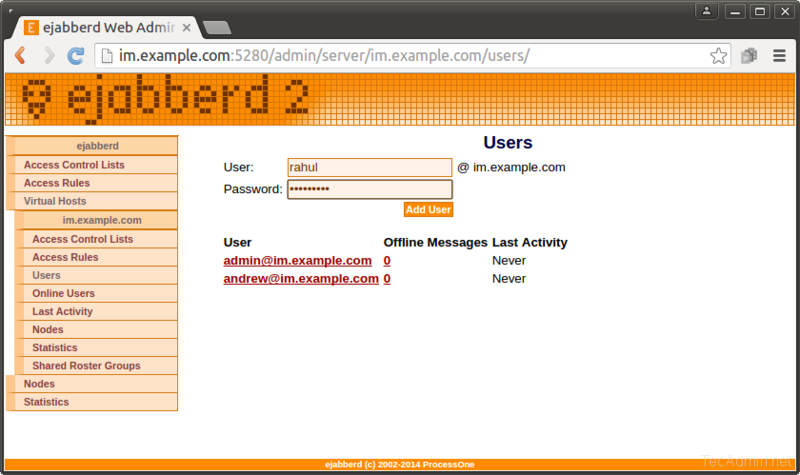 eJabberd is a robust, scalable and extensible XMPP Server. eJabberd is written in Erlang programming language. All the eJabberd features are easily accessible from any mobile app or web applications. The use of web-sockets in eJabberd provides the ability to seamlessly send and receive messages while a browser tab is opened. eJabberd packages are available under default system repositories. You just need to use run below commands to install eJabberd packages. This will also installed Erlang programming language packages. For this installation we are using domain im.example.com in configuration. You may only use localhost for you local system, but for remote server use a domain or sub-domain. So at first I make a host file entry to map im.example.com with eJabberd server ip address. Now you need to create admin accounts for your domain. Below commands will create admin accounts for both virtual hosts localhost and im.exmaple.com. Now edit ejabberd configuration file /etc/ejabberd/ejabberd.yml in text editor and add acl for admin user for im.example.com. Now add im.example.com under hosts section. After making all above configuration, let’s restart eJabberd service using following command. 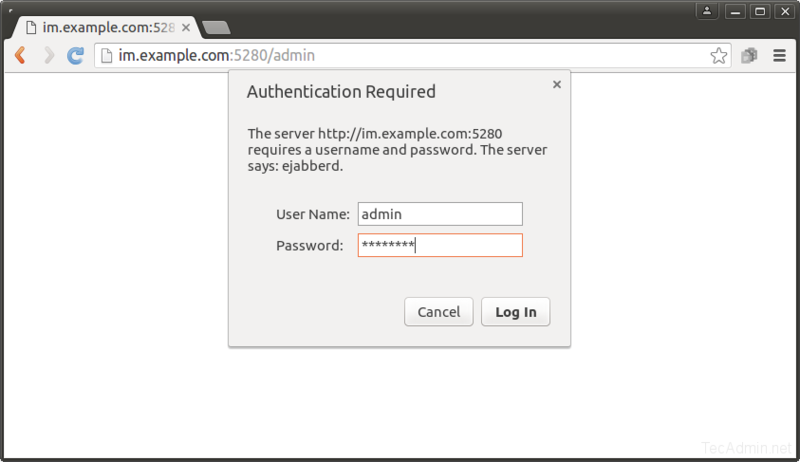 Input admin username and password of host im.example.com as shown above. If you have access ejabberd through localhost, then input login details of localhost admin account as created in above step. 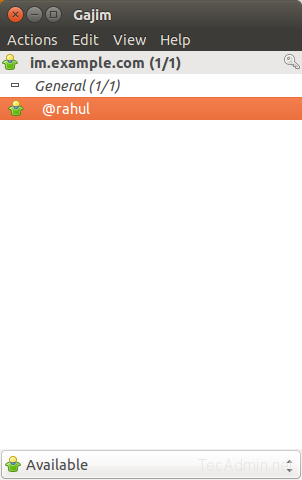 To verify setup we will use XMPP client and login with two different users and then try messaging between them. So first of all create two user accounts in our virtual host as per showing in below image. 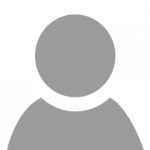 Now install a XMPP client on your system. 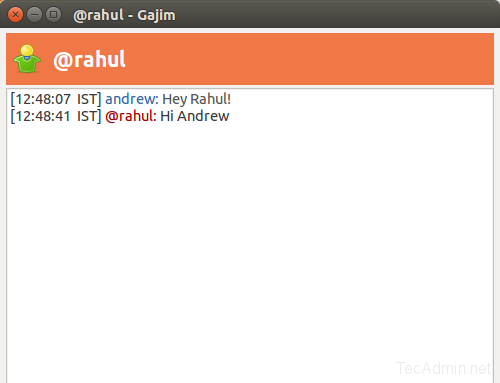 For this example we will use Gajim xmpp client, You may also use other alternatives like Pidgin etc. Use following command to install Gajim two systems. Now start Gajim (from non root account) and login to Gajim on both systems with different-2 user accounts. Now, add other account from Actions >> Add Contact menu options. It will sent the request to remote user. When remote user approve or reject your request, eJabberd notify you the status of your request. On approved request, remote contact will display in your chat list. Finally, You can start messaging between both accounts. Hi, thanks for this blog. It saved my day. What to do to see all options in admin panel? 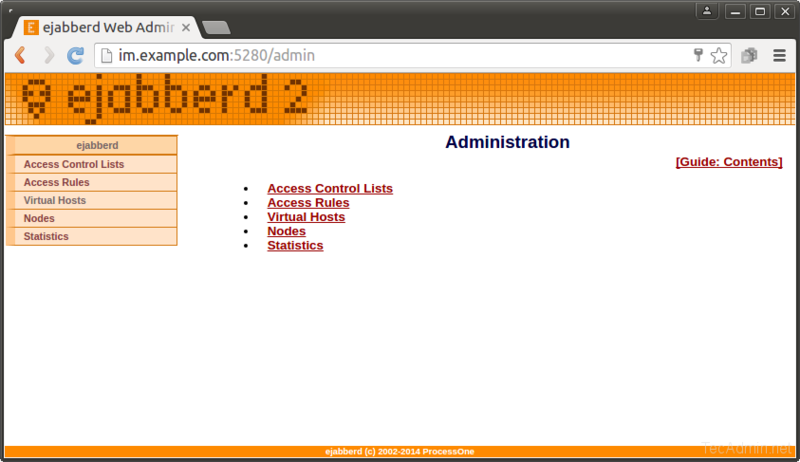 and finally you can add the admin account for the new virtual host. I’m currently trying to install ejabberd on my Ubuntu 14.04 server. However, after following the article, I cannot find an ejabberd.yml file in /etc/ejabberd folder. Instead there is only a cfg file. I reinstalled and made sure that ejabberd is the latest version. Any ideas whether I can convert my cfg to yml? In Ubuntu 14.04 there isnt a ejabberd.yml file, you have open the ejabberd.cfg, e.g.